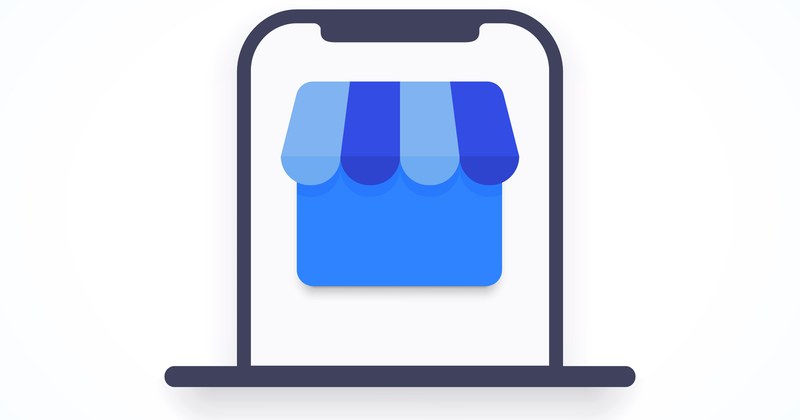 Google My Business is now rolling out a feature to let businesses create a short name and short URL, according to a report by Mike Blumenthal, a Local Guide for Google. 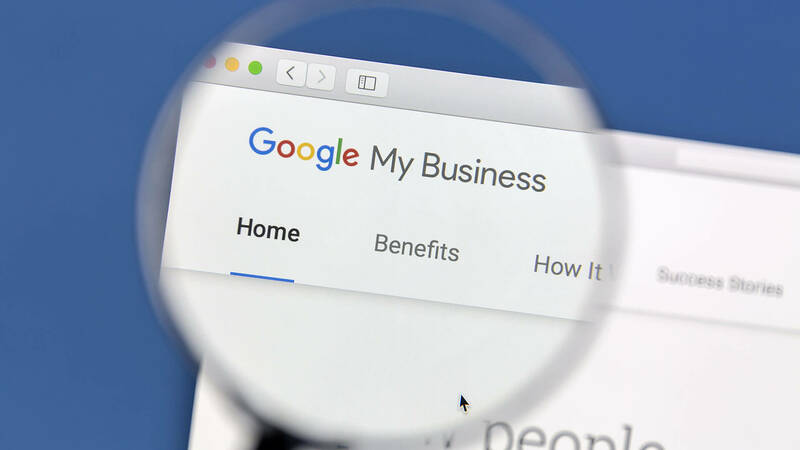 The feature is designed to give Google My Business accounts a simple way to make their profile on Google Business more accessible to potential customers. Businesses can use the short URL on materials like business cards, posters, brochures, etc, in order to help customers easily find the business and leave reviews, access contact information, get directions and more. What is a short name? A short name is a unique shorter name that is used to "represent your business name, brand, location or other description," Google said. For example, you can use your business name with your location, like your city or neighborhood, Google said in its help document. Who can get a short name? Any verified business in Google My Business can create a short name, or a custom name. Keep in mind this feature is still rolling out, so not all business accounts will be have access yet. How do I get a short name? From your computer you can sign in to Google My Business, then select the location you want to create a short name for. From the left hand side menu you can click the "Info" tab and then "Add profile short name." From there, you can enter your short name with no less than five characters and no more than 32 characters. After applying, your short name will show as "Pending." When it's ready, the short URL will show on your Business Profile. 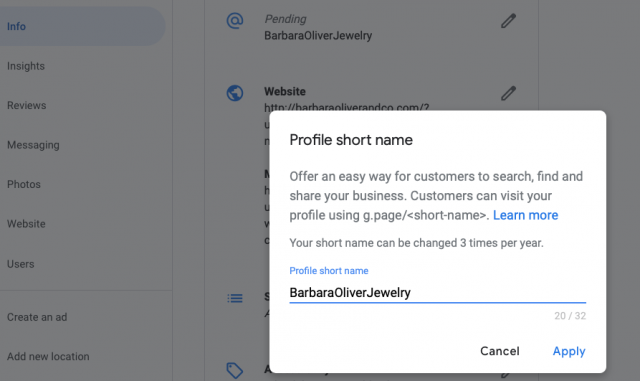 From mobile, open the Google My Business app, select "Profile" and then "Add profile short name." Simply save the changes and your short name will show as Pending until approved to display on your profile. Why we should care. Many businesses use Google Maps to help their customers find them, learn more about their business and read their reviews. The next time a customer calls your business, you can direct them to g.page/yourshortname – making it much easier for people to learn about you and leave reviews on Google. Google is calling these custom URLs "short names" and it appears only some businesses have access to them at the moment. However, it's definitely more than just a test feature because a help center article already exists for it. After creating a short name, a GMB profile can be accessed directly by going to "g.page/[yourcustomname]". You can also solicit reviews by appending '/review/' at the end of the URL, which would look like "g.page/[yourcustomname]/review/"
This makes it exceptionally easy to promote the URL, and easy for customers to type into a browser's address bar. It would also look good in marketing pieces. Google's help center article states that short names are only available to verified businesses. Again, even most verified businesses do not have access yet. Click Apply. Your short name will show as pending, and when it's ready, it'll show on your Business Profile. If you find you're not happy with your short name you can always change it, but it can only be changed 3 times per year so be careful. It's nice to see Google offering this kind of feature, especially after shutting down its own 'Goo.gl' URL shortener last year. Video-conferencing software has come a long way. So has video-meeting etiquette. By now, most people know to mute themselves when they're not talking to minimize background noise. If you're eating or something distracting is happening behind you, it's also good practice to turn off your camera. But if your video and microphone are always muted, people can't see or hear if you're engaged in the meeting. Gilrane recommends that you put in a little extra effort to reinforce that you're listening. This could mean unmuting your microphone to validate someone else's idea. (e.g., "Mmhmm," or "Sounds like a good idea.") Also consider how your body language reflects your engagement. Nod your head if you agree with a point made. Uncross your arms and don't slouch in your chair. Sit upright to show you're listening. When attending a video meeting in a conference room with a faraway camera, zoom in so the other meeting attendees can see your facial expressions. Close your laptop and be present. If you're typing on your laptop the whole time (and not the notetaker), it's pretty clear you're not paying attention.